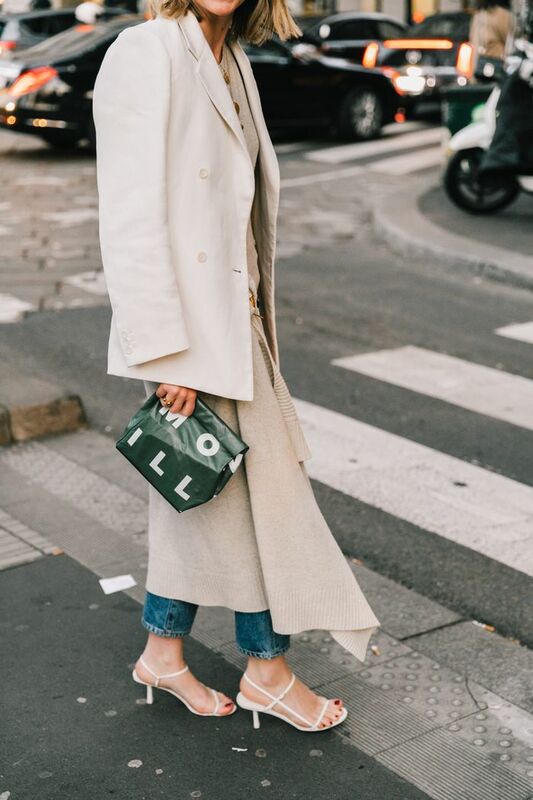 There are many spring shoe trends, we're currently fangirling over, but ever since we reported on the floss heel craze of 2019, the shoe trend has become one we're particularly excited about. I mean, what's not to love about the barely there straps and the major versatility? Well, according to The High Heel Doc, Bobby Pourziaee, DPM, of Rodeo Drive Podiatry, there's actually quite a bit to not love. We often run current shoe trends by podiatrists to get a pulse on how our foot health will be impacted by the shoes we're sporting for days on end, and much to our surprise (and dismay), he informed us that spring's biggest shoe trend—floss heels—is, in fact, bad for your feet. "Even though floss heels show off your feet for the world to admire, they don’t provide the best support. There is a general lack of support around the foot and ankle, which can easily lead to twisting of the ankle while walking. The lack of support can also lead to overuse injuries like tendonitis," he tells us. So now what? While foot health is of the utmost importance to a podiatrist, we'd be lying if we said that when it comes to fashion, sometimes we choose beauty over pain. If I'm being honest, Pourziaee's update on floss heels won't stop me from wearing the trend, but in case you're much smarter and wiser than I am, he also provided four spring shoe trends that he recommends. Instead of floss heels, The High Heel Doctor said to try the below spring 2019 shoe trends for maximum foot health. "They have a nice thick sole, which will take help with shock absorption along with the wider bands that help keep your feet supported all day." "As long as they are not too narrow in the forefoot, cowboy boots give you the ankle support to keep your walk (or two stepping) without pain." "Thick soles and the overall construct of a sneaker help with arch support. They will keep your feet in place and reduce chances of overuse injuries." "They are a great alternative for a heel, as the wide heel provides a solid base of support for standing and walking." Next up, shop the three best shoes to wear with skinny jeans.